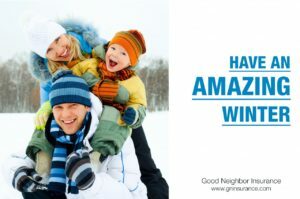 HSA Deductible Changes to Portfolio 2500 Plans: Good Neighbor Insurance provides both group and individual health care coverage in Arizona, as well as travel insurance for those vacationing overseas and for expats residing overseas. We are happy to be able to share the following information for our clients who currently have individual coverage. The Internal Revenue Service (IRS) has changed the HSA deductible limit for 2015 from $1,250 to $1,300 for self-only coverage and from $2,500 to $2,600 for family and embedded deductible coverage. Therefore, beginning with January 1, 2015 effective dates Blue Cross Blue Shield of Arizona’s (BCBSAZ’s) Small Group (2-50) Portfolio 2500 and Portfolio Alliance 2500 plans will be changed to a $2600 deductible plan. In addition, the out of pocket maximum for these plans will decrease from $4,500 to $4,250. Please be sure to notify your January 1, 2015 BCBSAZ prospective small group customers of this change. For new January 1, 2015 sold groups who selected the Portfolio 2500 and/or the Portfolio Alliance 2500 on their Rate Acceptance Form, BCBSAZ will provide an updated Rate Acceptance Form to the Group, with an explanation as to why the Portfolio deductible was changed from $2500 to $2600, and the out of pocket maximum decreased from $4,500 to $4,250, for plan year 2015. Please note the quoted rates for these plans have not changed. All December and January renewals will receive a notice from BCBSAZ informing them of this change and for renewing groups who have selected the Portfolio 2500 with an effective date of January 1, 2015 or later, BCBSAZ will provide the group with an updated Intent to Renew document that reflects the corrected deductible and out of pocket maximum amounts.